In this edition on the SA parkrun newsletter, we launch possibly the most beautiful parkrun in SA - George parkrun. Modderfontein parkrun invites all to attend a special celebration on 10 May. St.Francis and Woodlands offer their latest news. 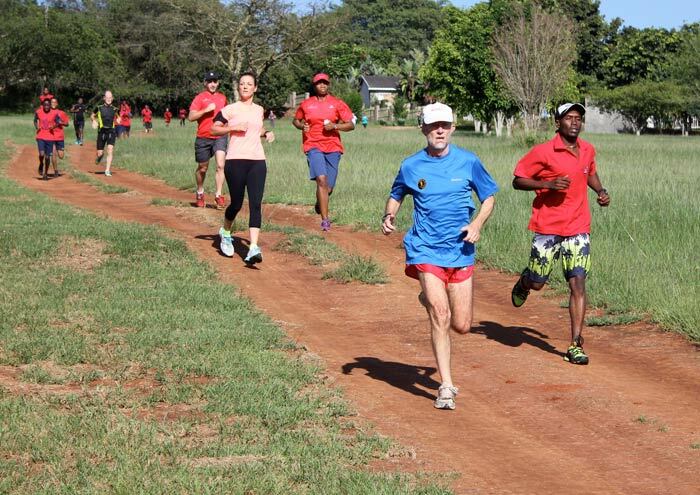 Another exciting parkrun fortnight has sprinted past and it is almost impossible to keep pace with parkrun developments here in South Africa. There are many claims for which parkrun in South Africa is the most beautiful and of course these judgements are always very subjective, but George parkrun must have a very strong argument for being named the South African parkrun beauty Queen. 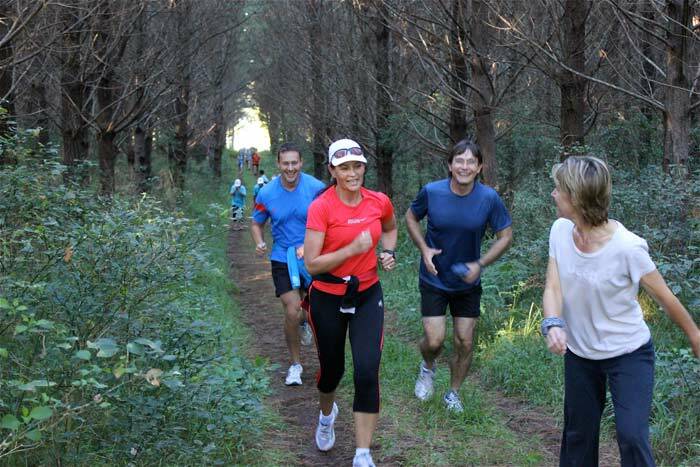 Run through the beautiful George Botanical Gardens in the shadow of the Outeniqua Mountains, the George parkrun route includes secluded forests lakes and lush open grassland. The most intriguing part of the route is the spiralling run up and then down the “Medicinal Mound” Viewed from a distance runners are seen streaming around the Mound which is densely planted with medicinal and therapeutic herbs and indigenous fynbos. 365 delighted parkrunners ran the inaugural George parkrun and new registrations have continued to keep George parkrun top of registrations worldwide. Well done to Chantelle Liddell and her hard working team for their hard work in making George parkrun such a success. Thanks are due to the Garden Route Botanical Garden trustees for their insight and wisdom in understanding the benefits of parkrun to the greater George community. From next week the Kidd’s Beach route will change to one which is run along…. While the old route had its charms it was very tough and considered too gruelling for beginners and those who are not so fit. The new route promises to be lots of fun and should draw lots of parkrunners back. Modderfontein parkrun is planning a very special morning on the 10th May so we would like to encourage Johannesburg and Pretoria parkrunners to visit Modderfontein parkrun on the 10th May. There will be adequate parking, arrive early. Join Modderfontein in welcoming special guests and surprise gifts from our national sponsors. See you there Roodepoort parkrun Raiders ! parkrun South Africa would like to welcome Lian and Kelly de Charmoy to South Africa. Lian is the country manager for New Zealand and is doing a wonderful job promoting parkrun in New Zealand. Kelly is most famous for being the parkrunner who was bitten by a snake at Delta Park a couple of years ago. Of course she was rushed off to hospital that morning where luckily there were no complications. This meant she failed to complete that parkrun. She and Lian successfully ran the Delta Park parkrun last Saturday. Does this make Kelly de Charmoy the record holder for the slowest ever parkrun? ((She took 2 years and 3 months to finish her run at Delta Park!!) We are only joking Kelly. It is great to see you both running parkruns in South Africa. 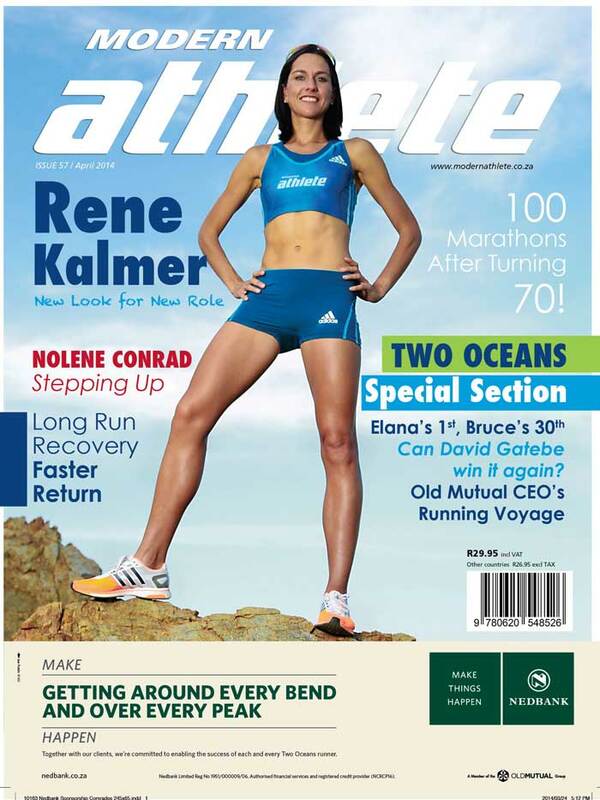 The April edition of our Media Partner, Modern Athlete Magazine is available now! To read the Digi-Mag, simply click here or, subscribe to receive it to your inbox on a monthly basis. Regular exercise is beneficial to blood pressure. Physical activity combined with weight loss and positive dietary or lifestyle changes, such as reducing your salt intake or quitting smoking, will have a marked impact on lowering blood pressure. It’s important to get enough omega-3 fatty acids through the foods you eat to help your body function optimally and prevent chronic disease. Try to include at least two servings of oily fish a week into your diet. If you’re a vegan and your diet doesn’t allow enough omega-3 rich foods, you can opt for marine algae supplements. No, our respected Mr parkrun is Felix Muchika (61) and Ms parkrun is Yvonne Robb (63). Felix has moved into the top 10 within the first 6 weeks of parkrun, and Yvonne’s name is often listed as top age graded for the week. Felix always finishes ahead of Yvonne, waiting for her at the finish line shouting “come, aunty! Shall I get the car?” Although it’s Yvonne’s car and Felix is the one depending on the lift! Felix started to work for Yvonne’s sister, Colleen Butler, mid 2012 as domestic worker in St Francis Bay. “So he is part of the family and a polite nice man with the most wonderful sense of humour.” He is “legal guardian for the Butler’s three youngest ‘children’, and known by many in the Village as he walks them every day - three Scottish Terriers!” In December he won the “dog/owner look-alike competition” held by the local SPCA! Felix started to run again after moving to St Francis, and was entered by Colleen’s husband Tony (watch out Cape Epic 2015) into a 10km race that he finished well, despite little training. He then started to train 2 – 3 times a week with little opportunity to do more events. Woodlands parkrun celebrated their first birthday. Staci (Event Director), Ian and Zoe receiving a glass plaque from the community as an appreciation of thanks for all their time and work in making Woodlands parkrun the success it is today! Well done on what you have achieved in such a short time here in SA with parkrun! I just love it – even though it is at 8 in the morning and we miss the beautiful sunrise run – and I have given up my run around Midmar Dam for it!!! I divide my runs between North Beach and Duzi parkrun – both completely different, and soooooo super! I am by no means a great runner – a steady plodder, and wouldn’t miss my morning run for the world! I am hoping to do my first Volunteering this month . I am on 34 runs, so aiming for my 50th! 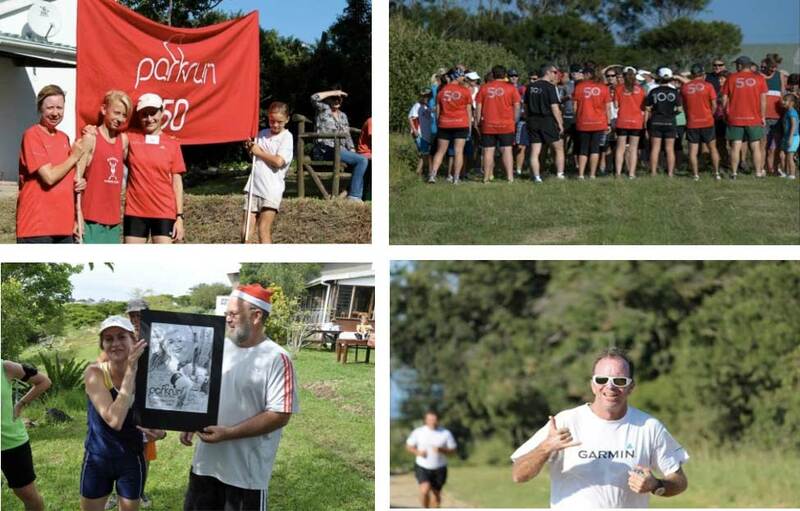 Clive Smart has been a loyal parkrunner almost since the inception of parkrun in South Africa. 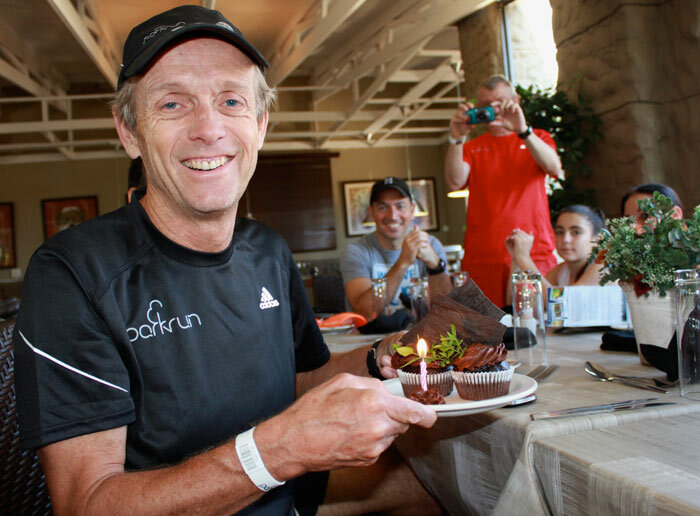 He helped Andre and Ilse Van Heerden launch their Summerfields parkrun and has also run the Halls parkrun. As a resident of White River, however, he has always been keen to start a parkrun in his home town. His dream came true two weeks ago when 96 runners attended the launch of the White River parkrun at the Ingwenyama conference and sports resort. The White River parkrun is a tough two lapper but all those who ran the inaugural run reported that it was a lot of fun. 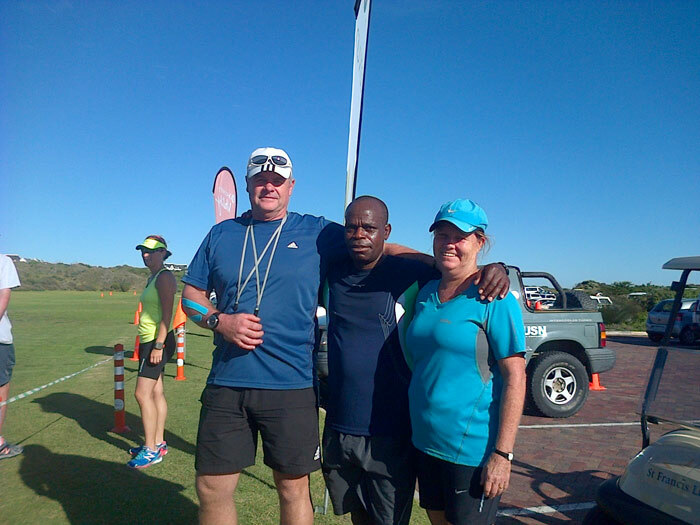 Saturday saw the launch of the Upington parkrun. Event director, Russell Nugent has been very enthusiastic about starting his parkrun and we know that Southern Africa’s most remote parkrun will be keenly supported. Upington is the only Southern African parkrun to start at 7am. Russell has assured us that the heat in Upington makes an early start obligatory. 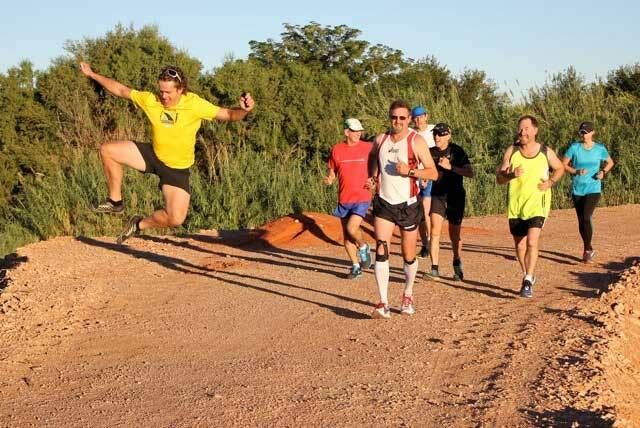 Upington is likely to be supported by a new group of parkrunners who are busy parkrunning South Africa. The ”parkrun South Africa” team travel around South Africa running at different parkruns each Saturday. In early April we expect some of them to appear at the first George parkrun. Please follow and like our pages on Facebook and Twitter. 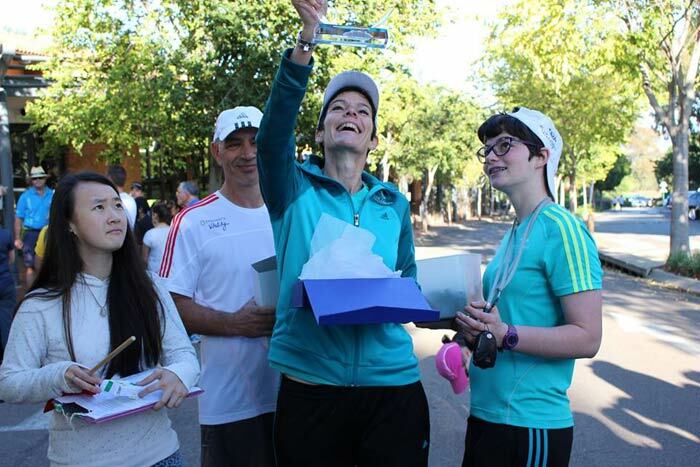 Most parkruns use social media to communicate with their parkrun followers. Each parkrun has their own page and Twitter handle. Bruce is the 4th South African to join the 100-Club! If you become ill with flu or even a cold (or any other illness), make sure you stop exercising while you’re recovering. Once you’ve recovered, you should wait at least a full week before you start exercising again. Fibre has many benefits – it plays an important role in maintaining optimal health and preventing diseases such as colon cancer, bowel disease, constipation, diabetes and obesity. Aim to make the basis of most meals fresh fruits and vegetables daily so that you get enough fibre in your daily diet. Do you want to be part of the adidas pacing buses this year? Click here to sign up for a pacing bus and stand a chance to get a free adidas pacing bus T-shirt. Sunrise-on-Sea parkrun has been going for 64 weeks; 64 weeks of fun and privilege to see people enjoying themselves and benefiting from the parkrun lifestyle. 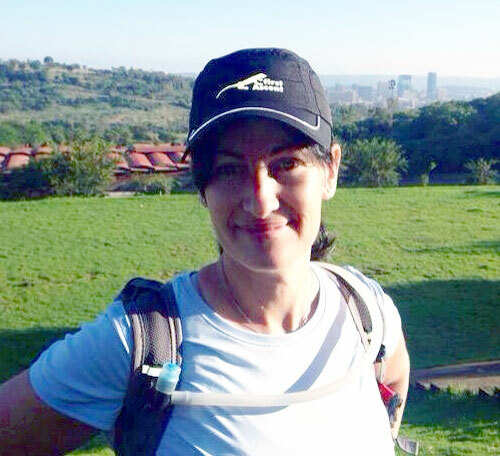 Tia Marie Taljaard has not missed a single run since the freedom run on 12 December 2012. Our first junior Zach Swart, second junior in the Eastern Cape joined his mom Roseanne as proud member of the 50-Club last Saturday. His sister, Stella, will reach the 50-milestone shortly, proving that parkrun is indeed a family affair. The red shirts are coming through constantly now and we are also maintaining steady growth considering that we have SA’s biggest parkrun at Nahoon Point, only 20km to the west of us. Last Saturday we had a record field bettering the 145 participants that took part on our first birthday by nine parkrunners! Our volunteers are have been amazing, with a number of them attending 62 out of the 64 parkruns held at Sunrise. This commitment makes putting things together every Saturday a pleasure. We have a special gift that we hand to our members upon achieving the 50 milestone, including volunteers, a caricature drawn by our in house artist, Leigh Durrheim. See the photo below. Top Left: Zach, Mom, Tia Marie and Stella. Top Right: All the Heavyweights. John, Tracy in black Bruce in red. This was taken on Surfers Challenge weekend. Bottom Left: Tia with her Leigh Durrheim original. Bottom Right: Pete Van Kets Local adventurer who just released a book on his adventures. The parkrun experience comes highly recommended by all and is proving to be extremely addictive. It is indeed a privilege to be involved in the organisation of this event. I have run the Modderfontein parkrun a few times now and I always run with my son in a three wheeler pram. On the last two occasions the route has been very challenging. I would like to take this opportunity to thank my fellow runners who have gone out of their way to assist me where they have seen that I couldn’t get through the muddy and/or wet conditions. A lady lost her shoe in the mud helping me lift the front wheel out of very sticky mud. She managed to retrieve a very muddy shoe. Two gentlemen helped me later on when I got my front wheel stuck in the muddy conditions. This past week a family helped me carry the pram across the first bridge and were there again when I got stuck getting across the cattle grid. Once again, while climbing up the final hill to the tar, a lady stopped to help me as I got stuck in a bit of a donga. I am grateful to all these people for their assistance as without them my son and I would have had to turn back because the conditions were so severe. At 14 months, he is quite impatient and is often indicating that I am going too slowly for him by bouncing in his seat to make it go faster. The camaraderie at this run is heartfelt and sincere. People are honestly there to have a good time. So thank you to the organisers of the event, the volunteers that give of their time every week and the runners that make my parkrun the amazing experience that it is. It is for these reasons that we will keep coming back. Sadly I didn’t get their names and as such am unable to thank them in person in this mail but they know who they are. What do you like about volunteering at parkrun: I love helping people to get the best out of their run, and to encourage those that are struggling a bit towards the end. Most memorable or funniest parkrun volunteering moment: Seeing all the dogs and little kids enjoying themselves on the run! They seem to have more fun than anyone! Especially when there's mud!! How can we improve and encourage volunteering at parkrun: Get people to feel that they can make a difference, even if they've never been involved with a race before. Many people feel intimidated because they think that they need to be serious runners to be involved.